A relaxation of Sydney Airport’s hourly movement cap, dedicated access to Australia’s busiest airport for specific regional routes and extending the regulation of airport charges to include items such as hangar space are among 21 recommendations contained in report from a NSW parliamentary committee published on Thursday. The report, from the NSW Legislative Council’s Standing Committee on State Development, called for the NSW government to write to federal Minister for Infrastructure and Regional Development Warren Truss to “encourage a review of the current slot allocation and movements cap systems in place at Sydney Airport, which should include eliminating the 15-minute movement cap and the removal of regional turboprop aircraft from the movements cap”. Moreover, the committee called on the federal government to “consider the possibility of allocating a limited number of the reserved regional slots into Sydney Airport to specific regional communities”. Currently, Sydney Airport is limited to 80 aircraft movements per hour between 6am and 11pm. However, this cap was calculated in 15-minute blocks, which proves restrictive in times of bad weather or when there have been disruptions to normal operations. Sydney Airport chief executive Kerrie Mather said recently the 15-minute limit, as well as noise-sharing requirements hindered airlines’ ability to keep to schedule and resulted in flow-on delays at Melbourne and Brisbane. The Sydney Airport boss cited the example of one flight where the pilot got on the public address system to explain why the aircraft was sitting at the edge of the runway waiting to take off despite no other aircraft in the area. “I want you to look out the window. You can see there is no one in front of us, there is no one behind us the airport is empty. But why can’t we move? We can’t move because actually we’ve hit the 20 flights in 15 minutes so we are going to burn through 150 kilos of fuel while we sit here,” Mather recalled at a business lunch in Sydney on September 26. Separately, the committee acknowledged the concerns of regional operators regarding pricing at Sydney Airport, particularly in relation to charges that were not regulated. “The committee considers that extending regulation to include charges for hangar space, airline staff and passenger facilities and other necessary infrastructure has merit and will contribute to ensuring affordable access to Sydney Airport for regional air services,” the report said. It called for the NSW government to press Canberra to expand what charges were regulated under subsection 95X of the Competition and Consumer Act regarding pricing at Sydney Airport. Australian Airports Association (AAA) chief executive Caroline Wilkie said the inquiry had identified opportunities to deliver better outcomes for regional aviation operators and those travelling beyond the major cities. 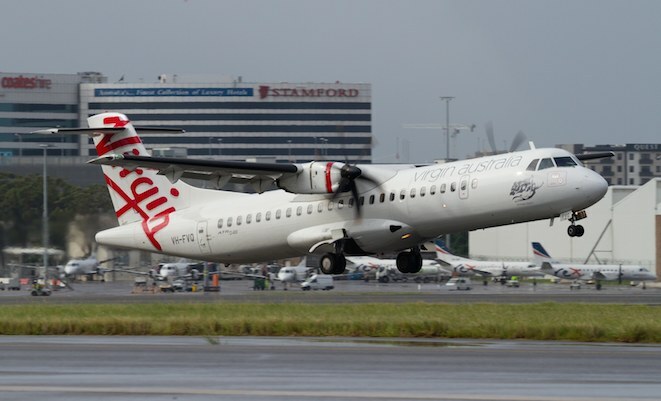 “The recommendations are well-informed, wide-ranging, and comprehensively address many of the issues affecting the viability and sustainability of regional aviation in New South Wales,” Wilkie said in a statement. “Our regional airports and smaller aerodromes are vital to the efficient operation of regional aviation services, and both the federal and state governments have an important role to play in supporting the sector’s longer term sustainability through sensible regulation, good planning and the provision of funding assistance. One of the report’s recommendations was that Transport for NSW consult with local councils who currently had a regulated air route to discuss if deregulation was preferable to regulation. “The committee acknowledges that while there is considerable support for regulation of routes with passenger numbers of less than 50,000, it is also of the view that deregulation can provide opportunities for growth,” the report said. It also called for the state government to establish a regional aviation task force under the Minister for Regional Infrastructure and Services and supported by a parliamentary secretary. The NSW government is due to respond to the report by April 2015. Um, I think the headline and story content should refer to the Federal Government rather then Canberra. We the residents of Canberra, have no say in what happens at Sydney Airport. For a brief moment I thought the headline might mean that they were seeking Canberra Airport to take some of the Sydney flights. The 80 hour cap is a joke as the true figure is 75 to 76. The previous minister imposed it so that 80 wasnt going to be broken. It is a joke.